Wow, the first half of the year flew by! We hope you’ve got all your ducks in a row for July. We’ve got a snazzy gift card deal and courses that will get you off to a great start – with exciting updates soon to come! Here’s what’s new in Vend. Store credit (coming soon!) – customer change their mind? Soon, you’ll be able to offer store credit instead of a cash refund when an item is returned. Keep your shoppers coming back and don’t lose out on a sale! Note: If you’re using Xero you’ll need to map your accounts before you enable store credit. Store credit will only be available in the new Sell screen or Vend Register for iPad. Cash rounding (coming soon!) – cash rounding is just around the corner, and lets you pick different rounding denominations and rules depending on your country’s currency. Round your cash payments without workarounds or tedious reconciliations. Note: If you’re using Xero you’ll need to map your accounts before you enable cash rounding. This will only be available in the new Sell screen or Vend Register for iPad. Get 15% off printed gift cards for Vend – looking to get some shiny new branded gift cards for your store? Plastic Printers makes it easy! Orders include their own design service and barcoding for Vend, so you’ll have gift cards set up and flying out the door in no time. And, if you use discount code ‘J2016DISC’ at checkout you’ll get 15% off orders over $400! Offer ends 15th July. 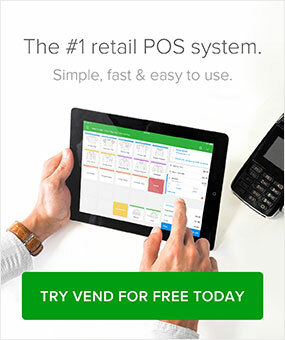 Vend U – offers flexible, interactive retail training designed to work around your busy schedule. Our top two courses for July focus on making sure your store is set up with the right foundations and effectively tracking your business performance – two crucial components for retail success! 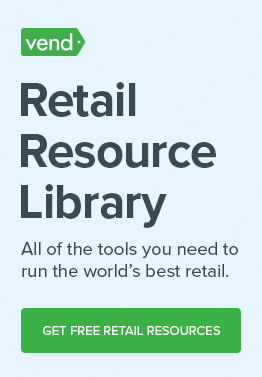 Setting up your Vend store – new to Vend, or need to set up the right foundations for your store? This course is designed to get you set up and selling fast so you can focus on scaling your retail business! Watch it on Vend U. Reporting in Vend – want to know how much you’ve sold in a month, or not sure which of your products are selling best? Reporting in Vend will have you leveraging reports in no time, so you can create a positive impact on your business operations! Watch it on Vend U today. And that’s all from us this month. Here’s to your continued retail success! Ashley looks after product marketing at Vend — working hard to bring exciting product launches to retailers around the globe. When she’s not busy talking all-things-Vend, Ashley also has a love of tea, candle-crafting, binge-watching, and hiking the pointy peaks of New Zealand. Would be great to fast track the following feature… “an error beep or at least a fixed on screen error message” if an item isnt on the system in the sell screen. Ive had stock walk out the door unpaid for when my staff haven’t been paying attention to each item scanned on screen. There is an error beep in the stocktake count section if a product isnt found so not sure why there was never one implemented in the sell screen I would have thought that would be pretty important??? The lack of this feature has cost my business money and I’d really hope to see a feature like this fast tracked and implemented. I agree, the same happens to us, when it beeps the staff (and even us) think that it has been registered. Losing money when it’s busy it makes the same noise whether it has registered or not! Wow – the problem with the beep at the sell screen was noted here 2 months ago but no reply from one Vend rep. No point in having a blog for your customers if you don’t monitor it – or if you do, you don’t get onto their issues and provide them with some feedback. I can see from your home page you all appear to be twenty and thirty somethings. You could do with employing some of us “oldies” who know what proper customer service is !!! Totally agree. Vend customer service is disaster. Never reply and when they do “we are working on the issue” is their typical response. it has been more than a month and they are still working on the issue. No fluff. Just practical, award-winning content sent straight to your inbox. Thanks for signing up to the Vend newsletter.